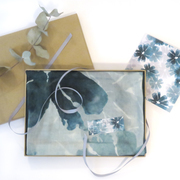 Original design panel printed voile scarves full of colour & pattern presented in a gift box with a matching card. 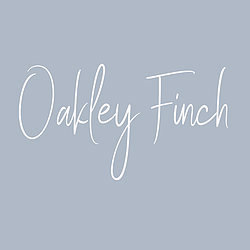 As a fashion and textile designer working in the commercial world for quite some time, I am now using my love of colour, pattern and design to create a collection of scarves under the brand ‘Oakley Finch’. 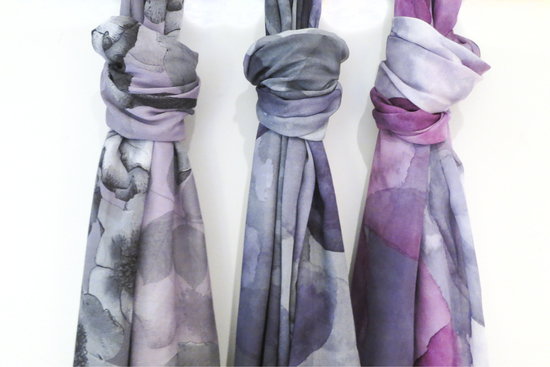 A range of panel prints featuring designs from romantic faded florals to hot tropicals, and painterly abstracts. 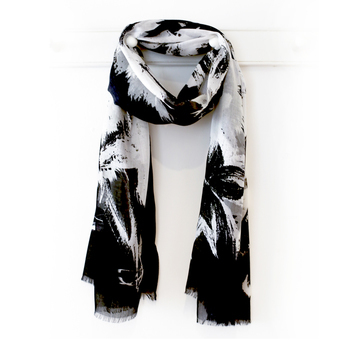 All my designs for the scarves are made up of individual panels and are specially printed by an ethically certified printer in India, who is able to do smaller quantities. This allows me to do these premium multi-colour prints. My aim is to have a collection of designs offering something a little different and special, in colours that flatter. love for yourself or as a present. All scarves will be sent in a gift box, with a complimentary matching card of the scarf print and a care tag to create a complete gift. My inspiration can come from anywhere. I love to travel and often use my photos of wild, garden, and exotic flowers or landscapes to work into the imagery. 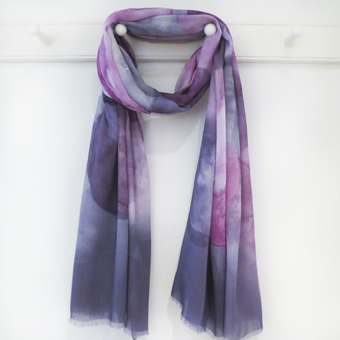 Sometimes the designs are a result of just playing with paint and mixed media, watercolours or even potato prints! Just walking down the street I love spotting peeling paint, some rusty ironwork, or just a faded flower with perfect colours and patterns to work ouwith. I like to collage the images and layer patterns, creating interesting textures. The finished design is then converted into a digital design ready for printing. We offer free postage, Royal Mail 1st Class 'signed-for' so your purchase should arrive within two days of dispatch. We add the tracking number so you can follow the progress of your package.